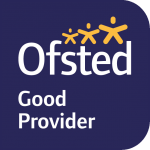 We believe in working positively with every child and family that comes to our school and our team includes a Special Educational Needs Co-ordinator (SENCo) who is dedicated to making sure that the best possible support is available. Where your child already has an identified special need, we work with you to see how to meet this need in our school and, we will look at how we can incorporate existing plans and work alongside any existing support you have so that your child’s transition to school is as smooth as possible. If you are concerned about your child’s development, please talk to us as soon as possible. We’ll make sure your child is actively monitored and assessed while they settle in, and we’ll keep in close contact with you so that if we need to agree on a referral process or help you to access SEN support services, we can do so quickly and easily. This support could include speech and language therapy, a dedicated healthcare plan, one-to-one support at certain stages as well as access to other specialist services. We have 11 ‘named places’ for children aged 3 years and over who have complex needs. Each of these places has additional funding, allowing us to provide greater support when your child is with us. If you would like to contact our SENCO, Helen Moyes, please call Reception on 01483 566589 or alternatively she can be reached by email helen.moyes@guildfordnscc.surrey.sch.uk.